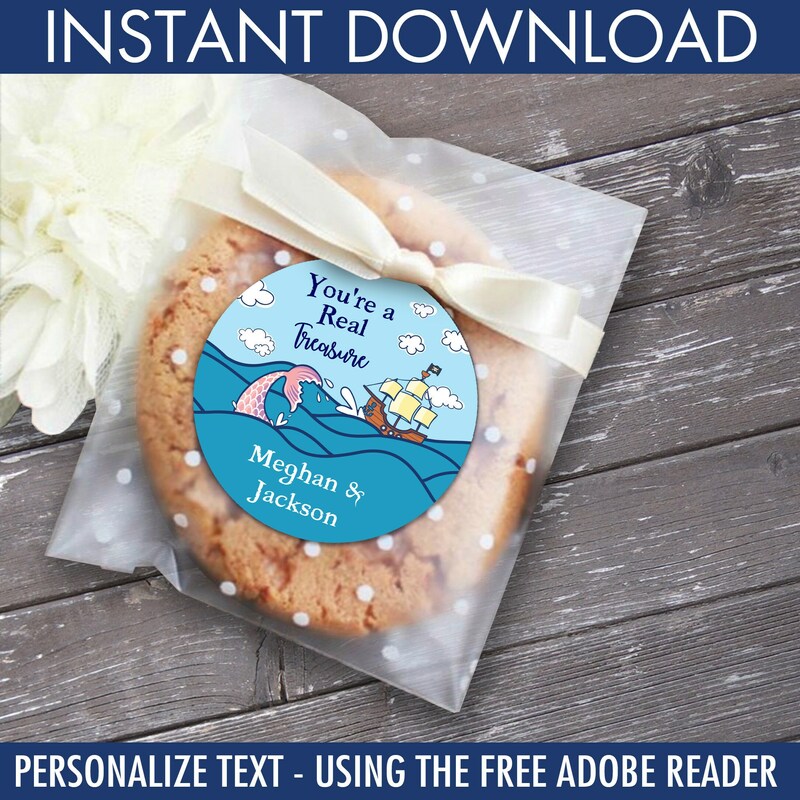 (¸.·´INSTANTLY DOWNLOAD these printable MERMAID & PIRATE 3" STICKER/LABELS - with editable text using the free Adobe Reader on your computer. Then print & create as many times as you like. → Cookie & Bag photo is for photographic purposes, nothing is shipped, all items in this listing are INSTANT DOWNLOAD printables. 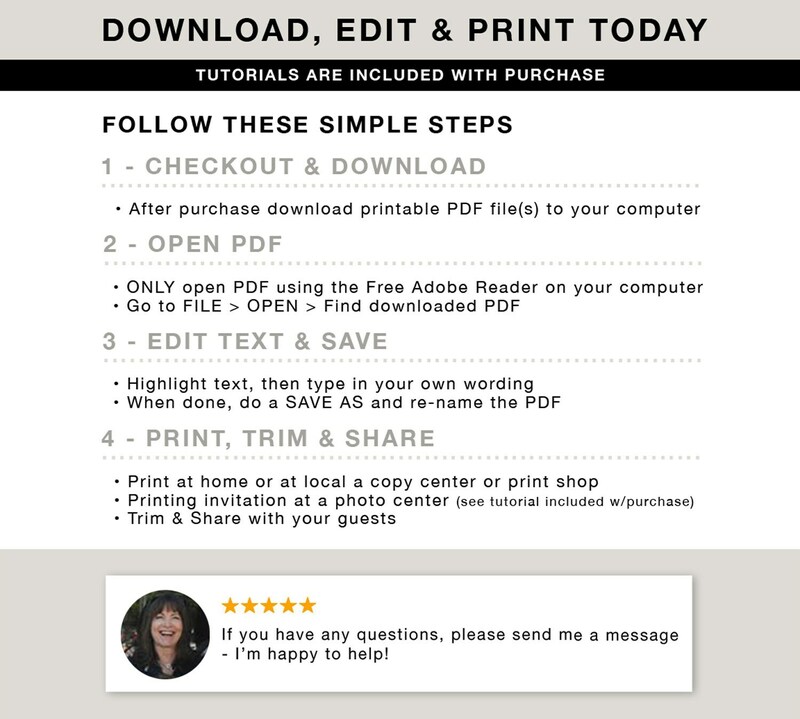 2 - OEPN PDF... using the free Adobe Reader on a computer or laptop, PDF will NOT work on mobile devices or tablets. 3 - PRINT... at home or a copy center using 8.5” x 11” US Letter Sticker Paper. 4 - CREATE & SHARE... Punch out label/sticker printables after printing... then share. → Use a full sheet of sticker paper or 110 lb card stock is recommended. 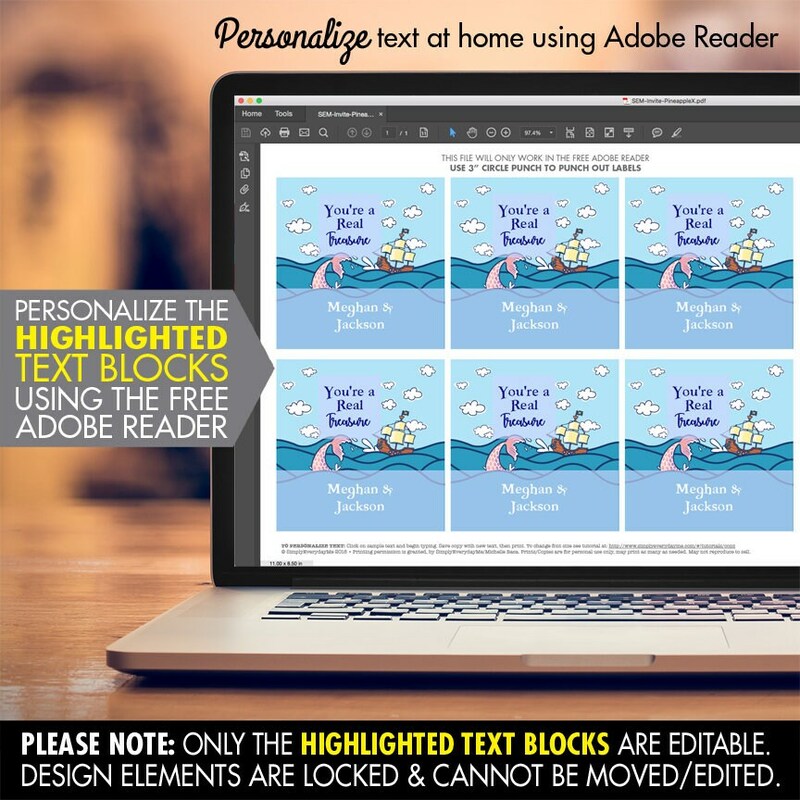 → PDF is NOT formatted for Avery Labels printing templates.